A day after an explosion that destroyed an Orbital Sciences Antares rocket carrying a space station cargo ship, company officials said Wednesday they hope to zero in on the likely cause of the mishap within a week or so, based on a detailed review of telemetry, analysis of video and inspection of recovered debris. 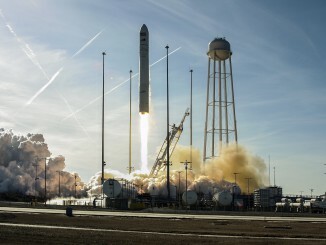 The 130-foot-tall Antares rocket, powered by extensively modified Soviet-era first-stage engines, blasted off from the Mid-Atlantic Regional Spaceport at Wallops Island, Va., at 6:22 p.m. EDT (GMT-4) Tuesday, kicking off a flight to deliver more than 5,000 pounds of cargo and supplies to the International Space Station. But just 15 seconds after liftoff, the rocket suffered a catastrophic first-stage failure, falling back to Earth and exploding in a huge fireball. The Cygnus cargo ship atop the rocket, loaded with station supplies, also was destroyed. 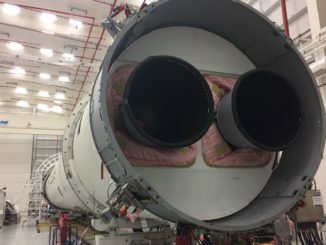 David Thompson, chairman and chief executive of Orbital Sciences, said an inspection of the launch pad and nearby facilities Wednesday revealed less damage than expected. He said it was too soon to determine what might have triggered the mishap, although a preliminary look at telemetry suggested possible explanations. He did not elaborate. One natural suspect is the rocket’s main propulsion system, powered by two Soviet-era engines originally built for a Russian moon rocket that later was abandoned after a series of in-flight failures. Engines left over from that program were mothballed, and Aerojet Rocketdyne bought about 40 of the high-performance powerplants in the 1990s. The renamed AJ26 engines were refurbished, equipped with modern avionics and exhaustively tested to ensure they were safe to fly. But an AJ26 engine being test fired last May suffered a catastrophic malfunction. Orbital carried out a major investigation to find out what went wrong and while details were never provided, company officials said the likely cause had been identified and that new test procedures and inspections were implemented to prevent a repeat of the failure. The engines worked flawlessly during an Antares launch in July and they may have worked as planned during the ill-fated launching Tuesday. But whatever went wrong appeared to start at the base of the rocket, raising questions about the propulsion system. Thompson warned against drawing premature conclusions. “We still have a lot of work to do in the days ahead to analyze all of the telemetry and video data, to review the recollections and notes of the participants in the operation and to collect all other available information about the flight,” he said. “This investigation may, or may not, lead us to the conclusion that the failure was caused by a problem with the Antares first stage main propulsion system. Orbital Sciences holds a $1.9 billion contract with NASA to build and launch eight space station resupply missions to deliver some 20 tons of cargo and supplies. SpaceX holds a similar contract valued at $1.6 billion for 12 resupply missions using that company’s Falcon 9 rockets and Dragon cargo ships. NASA officials said the loss of the Cygnus supply ship atop the Antares rocket will not have any near-term impact on station operations. A Russian Progress supply ship was successfully launched from Kazakhstan early Wednesday and SpaceX is on track to launch two more U.S. resupply missions in December and February. 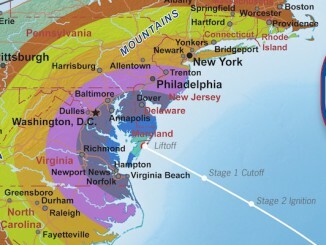 But the next flight of an Antares rocket, which had been targeted for April, could face a delay. Asked if engineers had seen any clues about the cause of the failure in video or telemetry, Thompson said “the short answer is it’s still a little too early to tell.” But he said there were hints in the telemetry. “There are certain specific elements of data that have been preliminarily analyzed to date that point in a particular direction,” he said, “but my experience also suggests that sometimes first impressions are not correct ones, and it’s very important not to focus too early on what may at first appear to be the cause of an accident like this. 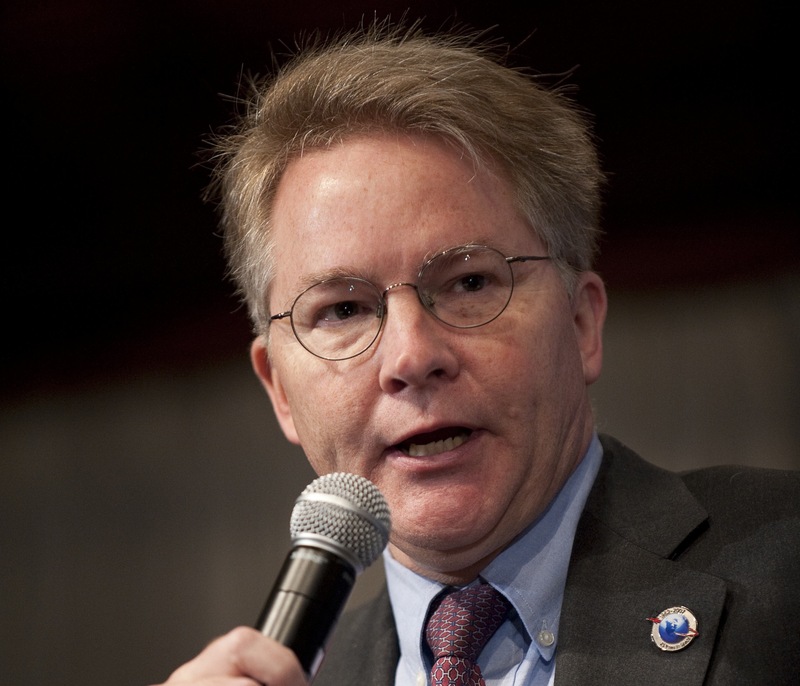 “Building and launching vehicles into space are among the most challenging and demanding things that government organizations and private companies do,” he said. “Despite the diligent efforts of some of the aerospace industry’s best and brightest people, sometimes things do go wrong.